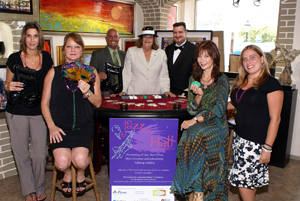 Hamilton Gallery To Sponsor Fort Lauderdale Chamber Event "Jazz in the Hall"
September 15, 2011 5:30 p.m. – 7:30 p.m.
Jazz in the Hall is a tabletop business expo with live music, blackjack, food, beer, and wine. Jazz in the Hall will be held at the newly refinished Chamber Building on September 15th. This is a unique opportunity for Exhibitors to showcase their products and services to Chamber members. Members have the opportunity to view and sample all sorts of products and services from sponsors & exhibitors. It’s a win-win for everybody. Don’t miss your chance to be part of this once a year event with over 200 in attendance and really take advantage of your membership.